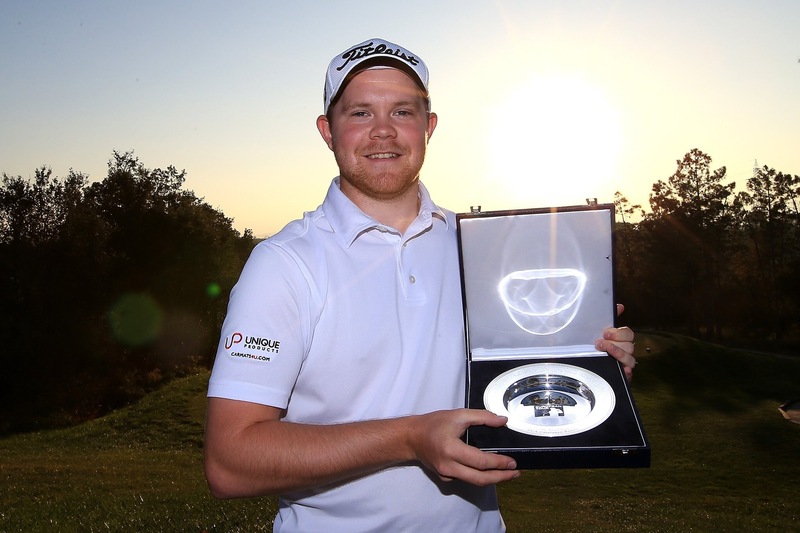 England’s Nathan KIMSEY (-13) today won the Final Stage of the European Tour’s Qualifying School series at the PGA Catalunya Resort in Girona, Spain. Nathan is just the second player to come right through from First Stage to win Q-School outright. Some achievement particularly as he hadn’t enjoyed a great 2016. He played in 11 PGA EuroPro Tour events this year, making four cuts and earning just £1,407.50. He finished 105th in the Race to Desert Springs Order of Merit. 156 golfers started out on this 108 hole golfing marathon last Saturday. 52 were from Great Britain and Ireland (GB&I), exactly 33.3% of the field. Just 30 players achieved their primary objective – a Category 16 card on the European Tour for the 2017 season (which comes with a Category 5 Challenge Tour card too). A -5 total score was required to finish in the Top 25 and ties this year. It was great to see 16 of these qualifiers hailing from GB&I as you can see below. I think most people were pleased to see Eddie PEPPERELL (-10) and Tom LEWIS (-8) return to the elite circuit. Both have showed a lot of promise in recent years and hopefully can now go onto to fulfil it. John PARRY (ENG) gave himself almost the best birthday present possible – being one of the 30 on his 30th birthday. I was particularly pleased to see Ashley CHESTERS and Max ORRIN progress. Ashley took his time before turning pro and after winning two European Amateur titles and competing in the 2015 Walker Cup his strategy seems to have paid dividends. Just Paul Dunne and Chesters from our winning team at Lytham will have European Tour cards next year. Orrin, who played in the 2013 Walker Cup alongside Matt Fitzpatrick, Nathan Kimsey and Jordan Smith, turned pro three years ago and today was the result of a lot of hard work and a steady progression through the tours for him. Michael HOEY and Gary HURLEY were Ireland’s nearest challengers but both came up short in the end. Hurley threatened to make the grade on his front 9 today but sadly couldn’t maintain his early final round momentum. Nathan Kimsey earned €16,000 for winning the Q-School with all of the 72 players who made the cut receiving declining sums right down to €750 for the non-qualifiers who finished in spots 31 to 72. So to differing degrees, and of course depending on where they are on the professional golf journey, everyone was a winner simply by getting this far in the process. It is worth noting that in all of these Categories each player is ranked according to their final Q-School finishing position. These rankings within each Category can be critical in determining actual participation in events on the respective Tours.